This look incorporates color, but it is toned down enough to be wearable in the daytime or nighttime. 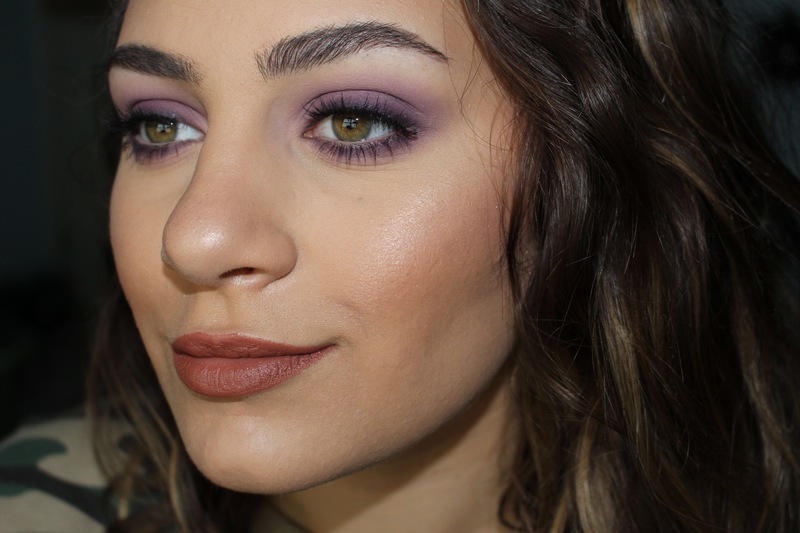 For the eyes, I used the purple shades from the Morphe 35B palette and focused on created a soft wash of color rather than building up the intensity. I also smoked out a darker purple on the top and bottom lashline to make my eye color stand out more. The lipstick is a new matte shade from Maybelline in the shade Raw Chocolate and I am obsessed with it! I don’t own any other shade quite like this one and I think the warm orange undertones go really well with the eye makeup. My face makeup and routine is pretty much the same as in my other MOTD posts, so be sure to check them out to see more details! Loving that eye shadow on you! This is amazing! I loved it so much. This is really pretty, love the eyeshadow colour!